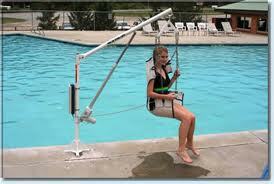 The pool-lift serves as valuable support in getting in and out of swimming pools. 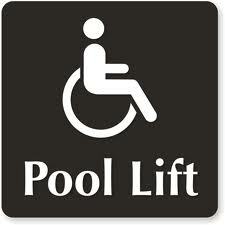 Physically handicapped persons or wheelchair users get the chance to enjoy cool refreshment and/or to take part in salutary water gymnastics. 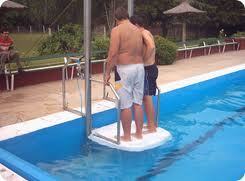 Operating levers on the entry as well as on the water level ensure that the user can get in and out of the pool independently, without the help of others. The seat, which can be adjusted individually, turns automatically (90°) when lifted or lowered. No underwater installation is necessary! 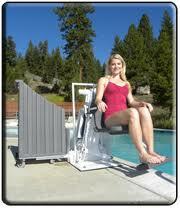 The pool-lift is as easily mounted as dismantled. Optionally, transporting wheels are available.